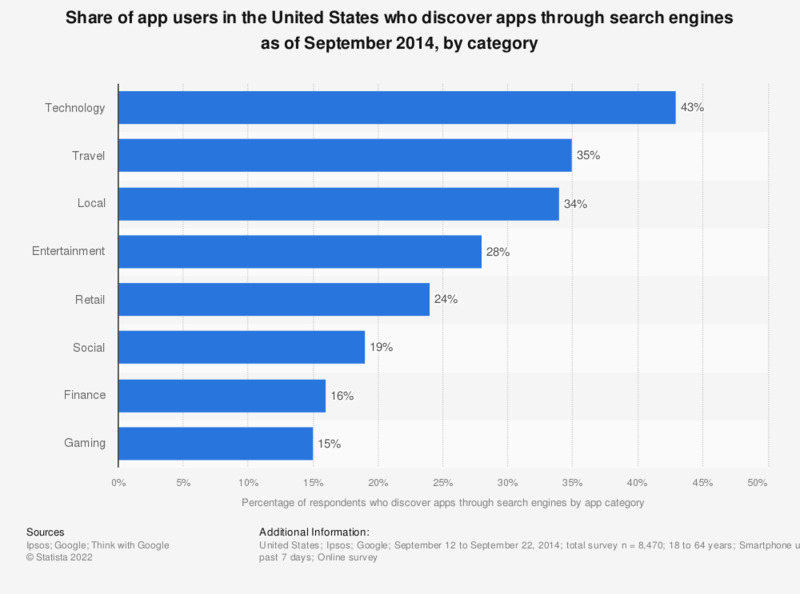 This statistic shows the percentage of app users in the United States who discover apps through search engines as of September 2014, sorted by category. During the survey period, it was found that 43 percent of respondents had discovered technology apps through search engines. Question: "In which of the following ways have you first become aware of [...] smartphone apps? Please include all the sources where you have seen or heard information about apps, even if you didn't subsequently download them."